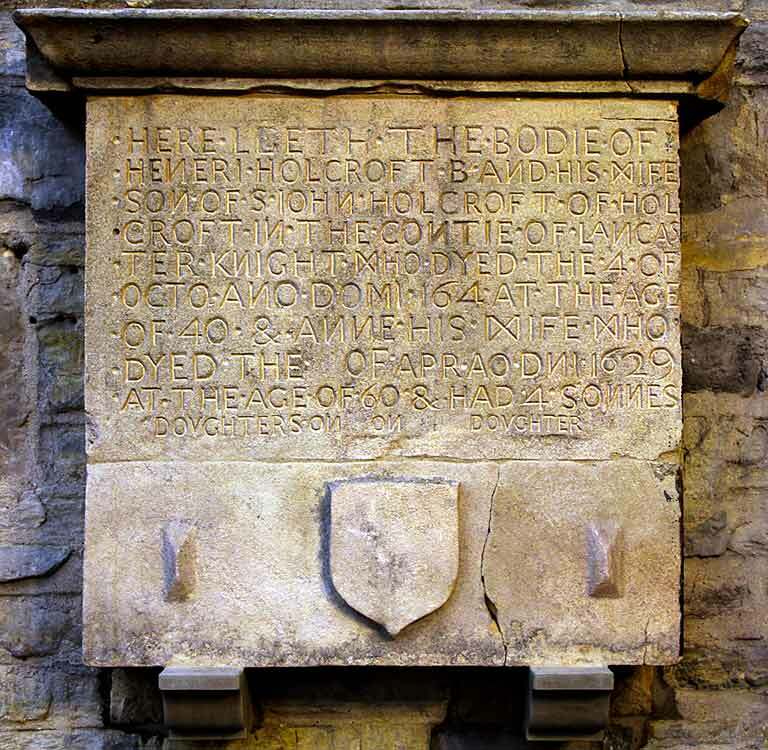 The monument was once on the exterior of the chancel wall facing east but was moved when the chancel wall was encased in Ancaster stone in 1983-84. 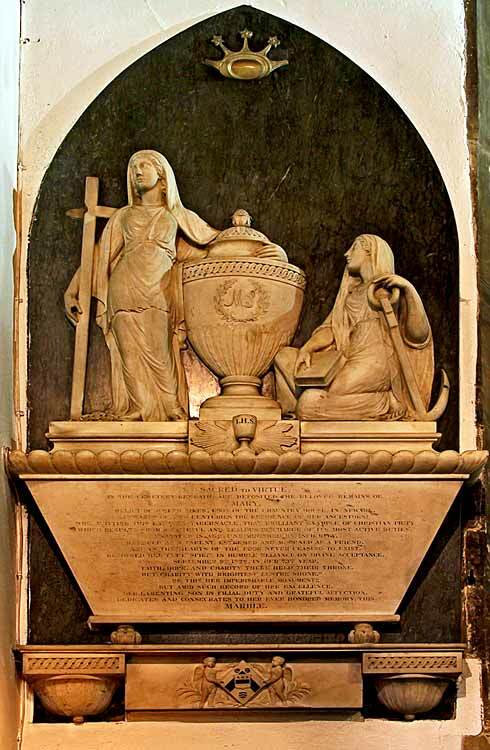 SEPTEMBER 9TH 1828, IN HER 73RD YEAR. 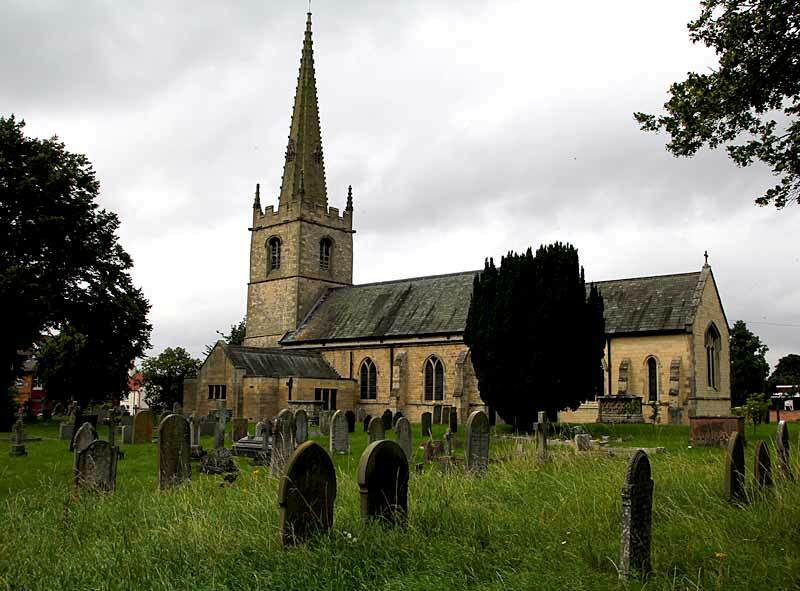 BUT CHARITY WITH BRIGHEST LUSTRE SHONE." BE THIS HER IMPERISHABLE MONUMENT!! 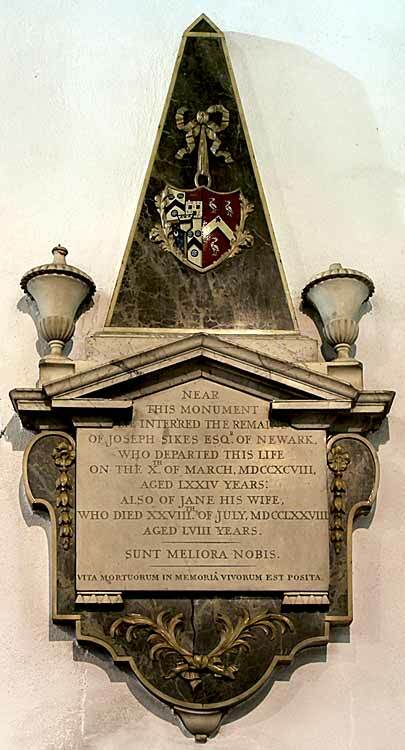 There is also a finely carved monument to Joseph and Jane Sikes, c.1778, having decorated tablet with open pediment over, supporting at its edges two urns. 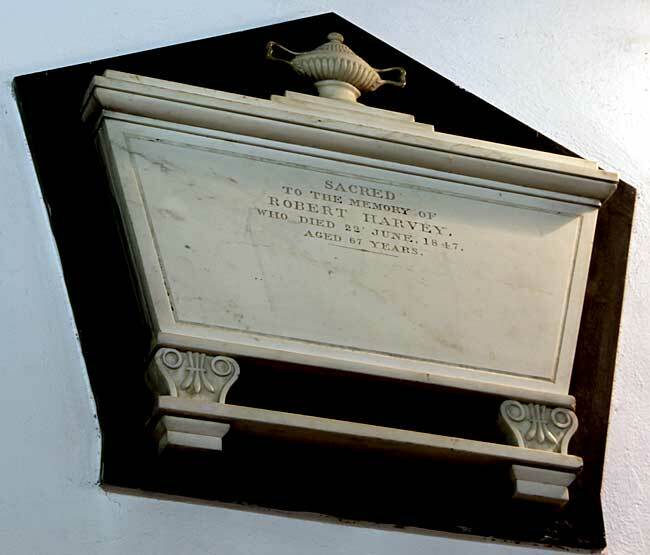 The chancel south wall has a monument in the form of a sarcophagus with urn over c.1817 to Robert Harvey. 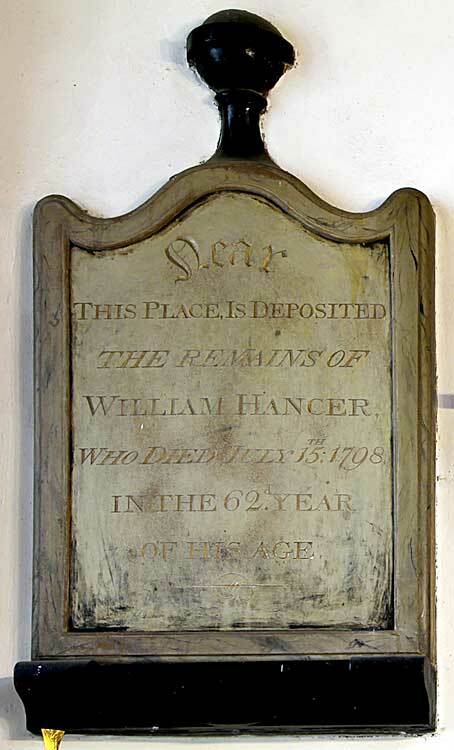 WHO DIED 22 JUNE, 1847. 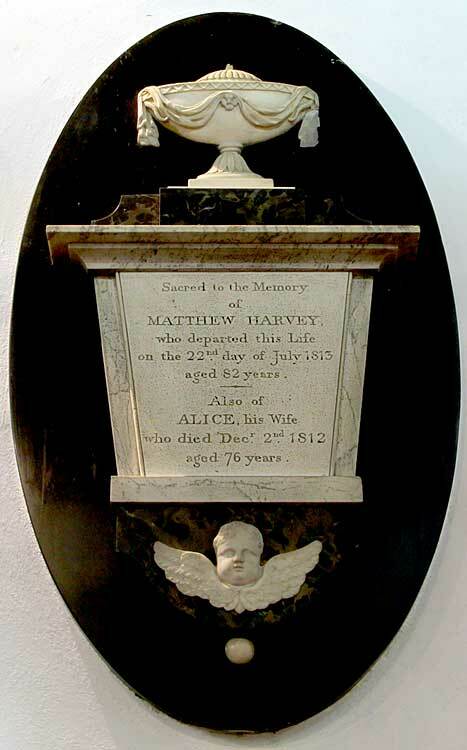 On the chancel north wall is a finely carved monument of c.1812 to Matthew Harvey. 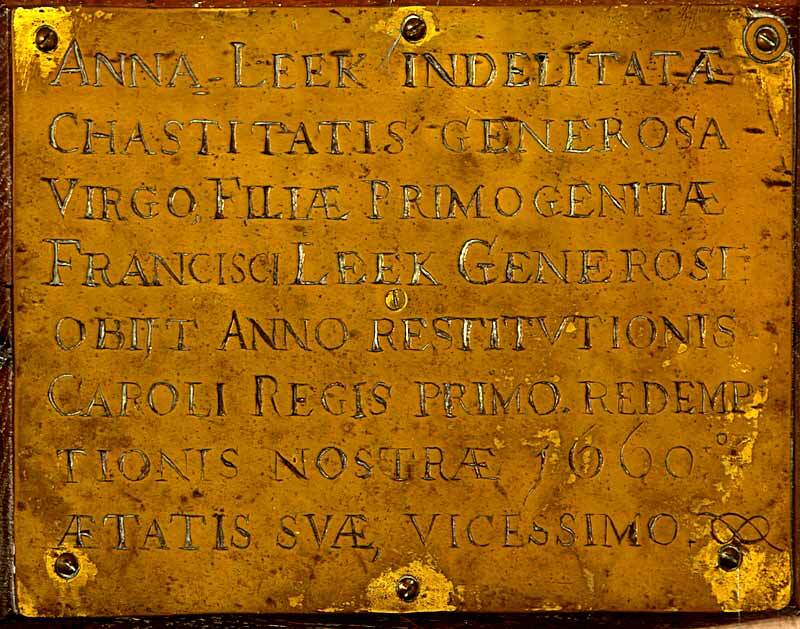 This has an inscription surmounted by an urn. 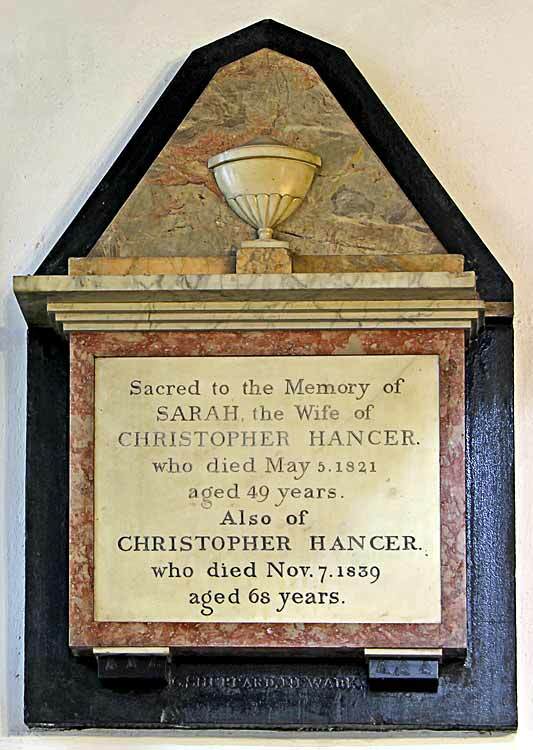 There is also a monument to Sarah and Christopher Hancer c.1821, consisting of an urn placed on top of a pier, with a further monument to William Hancer, c.1798.